I’ll be honest; Beersel wasn’t on my list of exciting places to visit in Belgium. In fact I couldn’t think of one thing to see there. Luckily, my trusty local guide, Marijke, introduced me to six fun things to do in Beersel and the Halle-Vilvoorde arrondissement. When I first met Marijke, she was working for De Rand. These days, she’s busy being a stay at home mom, launching her own business and enjoying life in Beersel. 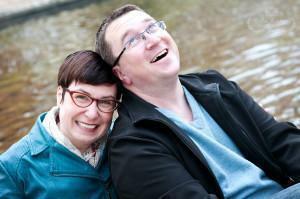 Originally from Limburg, Marijke has spent the past few years in her husband’s hometown of Beersel. The first stop on our tour was Beersel’s most famous sight, Beersel Castle. At the moment, the castle, dating from the 1300s, isn’t at its photographic best. 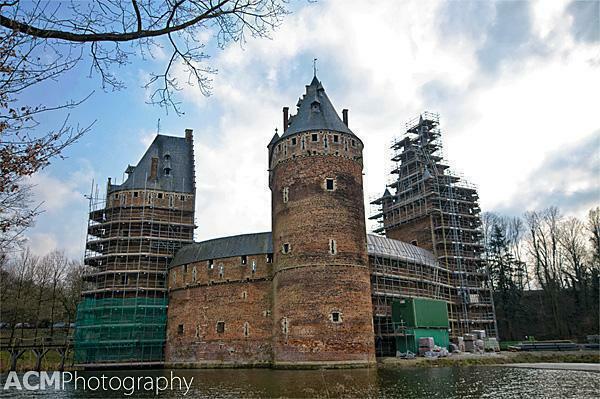 It is undergoing extensive renovations which began with the draining of the moat, to repair the foundations. The round fortress was a defensive base for Brussels and is made up of three watch-towers. It’s an impressive sight and hopefully will soon be fully restored to its former glory. The castle is famous among Belgian comic strip fans as the setting of the Suske en Wiske comic De schat van Beersel (“The Treasure of Beersel”). It is also home to an annual medieval festival, which Marijke says includes knights jousting, music and food and is great fun for children and adults alike. The next stop on our tour was the Provincial Domain of Huizingen, and while this may sound like a boring administrative site, it is anything but. Huizingen is a village suburb of the Beersel municipality and the provincial domain is its star attraction. The lovely Castle of Huizingen. The grounds are extensive and include activities for all ages. There are two large playgrounds; one for children under 8 years old, with the theme ‘enchanted tree people,’ containing wonderful wooden carvings of animals; and a playground for older children called ‘over the wall,’ with three big slides, a climbing wall and swings. The big draw, in the summer, is the large outdoor swimming pool, with water slides and a sunbathing area. There is also a small petting zoo with deer and farm animals. This is definitely a place to add to your list of activities to do with children near Brussels. For flower lovers, there is a world class rock garden, with over 1200 different plant species. Visitors will also find an arboretum, plenty of flowers, and even a garden specially designed for the blind. I will definitely be re-visiting this site in the summer. It turns out, I had actually visited Huizingen last year, without realizing it. Andrew and I had a lovely evening at the Michelin Starred Restaurant Terborght. This unassuming brick house doesn’t disclose the foodie delights inside. The interior is also subtle earth-tones and not overly styled. The drama is saved for the food which arrives on your plate as tiny works of art. If you prefer something a little more laid back, the owners have recently opened a brasserie, called Oud Dorp Bistro, featuring Belgian classics. We haven’t tried it yet but if they maintain the caliber of Terborght, it’s well worth a visit. Our third stop was the village of Gaasbeek, further into the Halle-Vilvoorde arrondissement and well worth the quick drive from Huizingen. 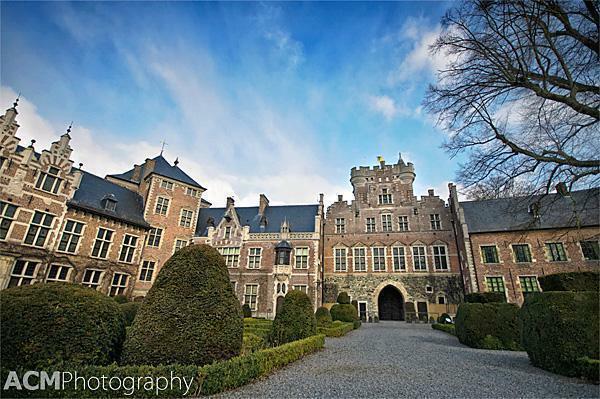 If you’re a castle fan, add Gaasbeek Castle to your list! 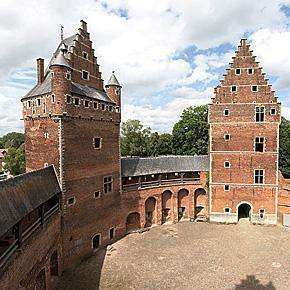 This storybook castle was built by the Duchy of Brabant, in 1240, as defense against the County of Flanders. It didn’t work out so well. The castle was destroyed by Brussels’ city troops, commanded by the Lord of Gaasbeek. A new castle was constructed in the 16th century, which was promptly acquired by Lamoral, Count of Egmont, of the Habsburg Netherlands. Things didn’t work out so well for him either. He was beheaded for treason three years later, sparking the uprising, which eventually led to the independence of the Netherlands. 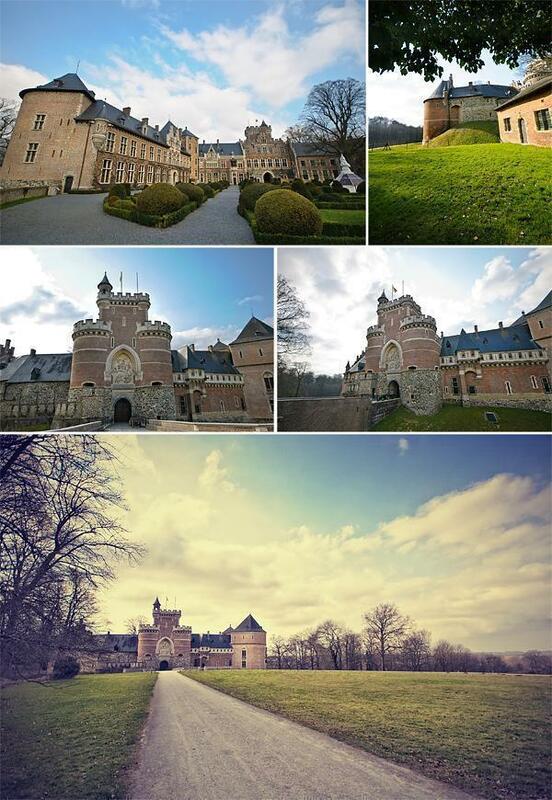 The castle was passed around various noble families and eventually was donated to the Belgian state. Since 1980, it has been owned by the Flemish Community and its impressive art and furniture collection is on display to the public. As the castle doesn’t open until the first of April, we weren’t able to tour the interior, (rest assured, I’ll be back) but we wandered through the lovely grounds and admired the fairytale exterior. Gaasbeek Castle is regularly home to exhibitions and events and you can join a free guided tour of the Museum Garden every Sunday at 2pm. I’ve written extensively about the stunning rose garden of Coloma before, so I won’t go into detail here. 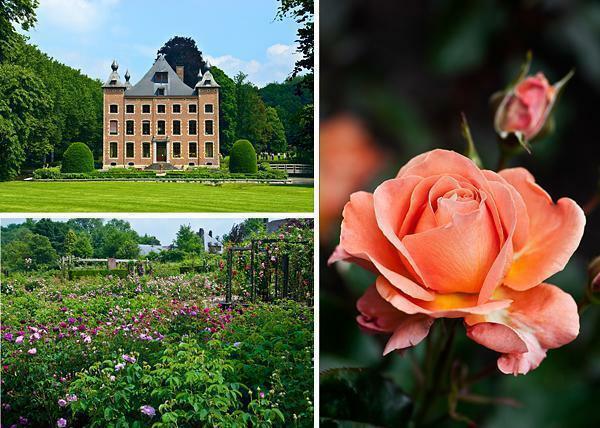 I’ll simply say one of Europe’s largest rose gardens is located just minutes from Gaasbeek. If you find yourself on a sunny summer’s day with nothing to do, a trip to the rose garden in the morning, followed by an afternoon at Gaasbeek Castle would be a perfect escape from Brussels. The International Rose Garden of Coloma – Isn’t it time you visited? The small museum offers a movie (available in English), which describes the process of making Belgian lambic beer (Read Andrew’s post on Lambic Beer for more info). The museum then offers a journey through the five senses. The museum exhibits are in Dutch, but English visitors are given a guidebook offering full translations. For beer-lovers, the best bit is the tasting room. Here you can sample many different types of Belgian lambic beer, including the fruit varieties. You can also taste Beersel’s local brew, Oud Beersel, or visit the brewery itself, every first Saturday of the month, from 11am-1pm. I must admit, I wasn’t expecting so many things to see and do in the Beersel area. It just goes to show, there are good things hiding around every corner in Belgium, so get out and explore! 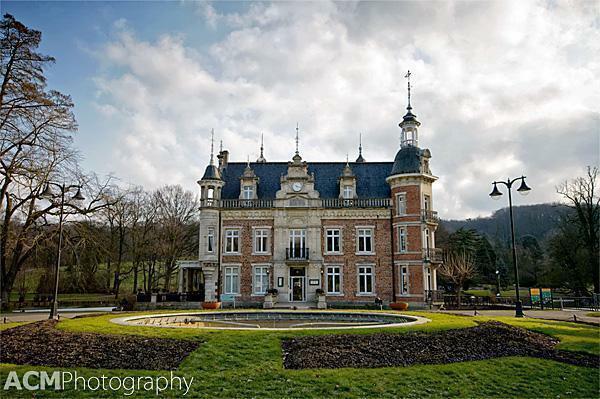 Do you know any hidden secrets of Belgium? Share them with us in the comments below.